3 February 2015: Naheed Nenshi, the Mayor of Calgary, Canada, has been awarded the 2014 World Mayor Prize. First runner-up Daniël Termont, Mayor of Ghent, Belgium, will be conferred the World Mayor Commendation for services to European cities. Second runner-up Mayor Tri Rismaharini will receive the World Mayor Commendation for services to the City of Surabaya, Indonesia. Calgary Mayor Naheed Nenshi, the winner of the 2014 World Mayor Prize, is the most admired mayor of any large Canadian city. His vision how a city should plan for its future has attracted the attention of urban thinkers from across North America. Since taking office in 2010, he has become the most admired mayor of any large Canadian city. He is an urban visionary who doesn’t neglect the nitty-gritty of local government. For many in North America and indeed Europe, Mayor Nenshi is a role model for decisive management, inclusivity and forward planning. He has also demonstrated strong leadership during disasters like the Alberta floods of 2013 and last year’s power outage, which affected large parts of the downtown area of the city. 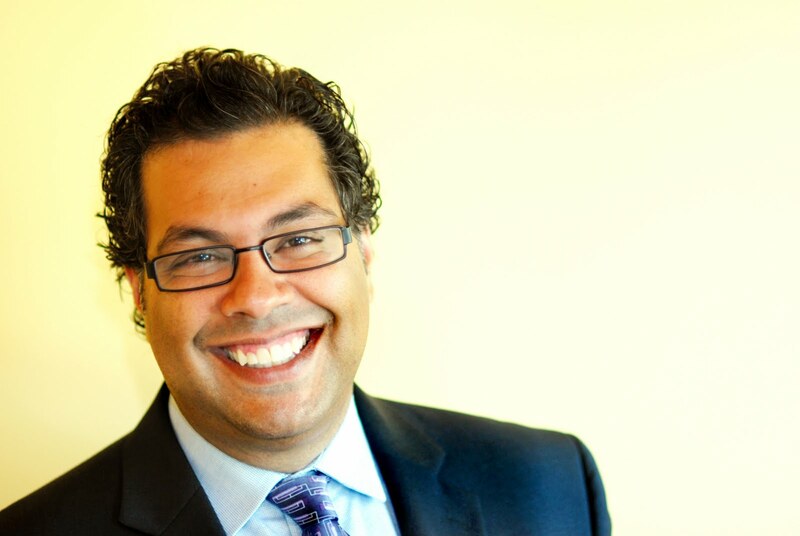 While Mayor Nenshi rejects being labelled progressive or indeed anything else – in the World Mayor interview he said: “I really believe that this kind of categorization alienates people and keeps them from participating in the political process.” – he has not shied away from challenging conservative views from some members of Alberta’s provincial government. In 2010 Naheed Nenshi became the first Muslim mayor of a major North American city after his ‘Purple Revolution’ captured the imagination of voters from right across the political spectrum. Some six weeks before the 18 October 2010 elections, opinion polls only credited Naheed Nenshi with eight per cent support but extensive use of social media combined with tireless door stepping – his supporters even organised coffee parties in their homes where Nenshi explained his vision – propelled him to victory on election day. Three years later the Mayor was re-elected with almost three quarters of votes cast. Daniël Termont, first runner up and winner of the World Mayor Commendation for services to European cities, has served the City of Ghent since 1977, first as a city councillor and from 1995 to 2007 Deputy Mayor. In 2007 he was elected Mayor and five years later re-elected for a second term. During his political career, he has several times been asked to enter national politics but has always declined, insisting that he wanted to focus on serving Ghent and its citizens. Despite or because of his many years in public life, he remains very popular. Daniël Termont has set the city ambitious environmental, social and economic targets and believes the majority of them can be met with the co-operation of Ghent citizens and the city’s other stakeholders. Like many mayors of European cities that trace their origins to the Middle Ages, Daniël Termont must be both moderniser and conservationist. Ghent, which in the 12th and 13th centuries was Europe’s second-biggest city after Paris, has the largest number of protected buildings in Belgium. It is also competing to attract bio-related companies and businesses from other growth sectors. The city has successfully nurtured one technology park and is planning a second. Ghent also benefits from the presence of one of the world’s most respected science-focused universities. Second runner-up and winner of the World Mayor Commendation for services to the city of Surabaya is Mayor Tri Rismaharini. After the election of Jakarta Governor Joko Widodo to Indonesia’s presidency, Mayor ‘Risma’ has become the country’s most talked about city leader. She has attracted national and international attention for energetically promoting her social, economic and environmental policies in Indonesia’s second-largest city. When Tri Rismaharini was first elected Mayor in 2010, Surabaya, although rich in history, was a city neglected by successive governments. It was then described as a concrete dumb. Mayor Risma’s policy has been to make the most of empty land and open spaces. There are now eleven major parks in Surabaya, all with different themes. Many parks also provide Wi-Fi access and include libraries, fitness and other sports facilities. Surabaya has also enlarged other open spaces such as cemeteries so that they serve as water absorption space – unlike Jakarta, the city had not had any serious flooding for three years – and has added green lanes along main roads and created city forests. Tri Rismaharini often talks of the need to govern not only for the people but also with the people. “A city must be first and foremost be a home for its citizens.” She learnt from the experience of other fast-growing cities in Asia and Europe that massive new developments can alienate people. The Mayor is therefore keen to match built development with social programmes. Early in her time in office, brothels in some areas of the city were converted into kindergartens and abandoned petrol stations into children playgrounds. Recently, she has campaigned for the families who lost relatives and friends when the AirAsia flight 8501, after taking off from Surabaya, crashed into the Java Sea. World Mayor, a project conceived and organised by the City Mayors Foundation, aims to raise the profile of mayors worldwide, as well as to honour those who have made long-lasting contributions to their communities and are committed to the well-being of cities nationally and internationally. An outstanding mayor must possess qualities such as: honesty, leadership and vision, good management abilities, social and economic awareness, ability to provide security and to protect the environment, as well as having the skill to cultivate good relations between communities different cultural, racial and social backgrounds. The World Mayor Project started in 2004. The City Mayors Foundation, set up in 2003 as an urban think tank and campaigning organisation, is instrumental in promoting good, open and honest local government through its Code of Ethics. The World Mayor Project and The City Mayors Foundation have no connection with any city or organisation and are run on philanthropic lines. The Foundation is financed and maintained by its fellows according to their means and expertise. Sponsorships, advertising, subscriptions, donations or any other kind of revenues are not sought, and if offered, are rejected. During December 2014, the Fellows of The City Mayors Foundation drew up a list of ten mayors who stood out in terms of public support, achievements and excellence of tributes from their citizens. The total number of testimonials received for the 26 nominees exceeded 256,000. While a number of top-ten ranked mayors were supported by thousands of followers, the World Mayor jury considered the size of support as only secondary. The panel was primarily influenced by the arguments and persuasiveness of testimonials bestowed on mayors. As some city leaders in the top ten represent large metropolises, while others are mayors of much smaller towns, members of the jury were of the opinion that basing judgment on numbers alone would unfairly disadvantage mayors from smaller communities. The jury was also acutely aware that outstanding mayors from cities in many parts of the developing world face challenges that require different qualities compared to mayors from Western Europe or North America. The winner of the annual World Mayor Prize is therefore never described in terms such as ‘the world’s best mayor’. Aziz Kocaoglu has been the mayor of Izmir in Turkey since 2004 when he was chosen by colleagues on the Metropolitan Municipality to replace Ahmed Piristina, who had died suddenly. Mayor Kocaoglu was re-elected by popular vote in 2009 with 57 per cent of the votes. He was elected for a third term in 2014. For much of this period Aziz Kocaoglu has also been mayor of the lower tier authority of Bornova. He is a member of the social democrat leaning secular Republican People’s Party. Throughout his period in office, the national government has been run by the AKP, Islamist Justice and Development Party. The governing party has made life difficult for Mayor Kocaoglu on several occasions notably through launching criminal investigations. None of these have ever led to any convictions. During the last ten years Izmir has become ever more visibly inclusive and secular in its approach to governance and to relations with residents. 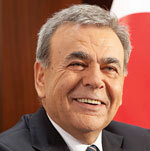 Mayor Kocaoglu was born in 1948. He graduated with an economics degree from Ege University. Subsequently he achieved a master degree in business administration from the University of Istanbul. He worked in business for many years. He owned companies engaged in furniture manufacturing and in textiles. Since 2004 Mayor Kocaoglu has led successive administrations which have cleared many of the city’s debts and which have achieved high credit ratings from international agencies. He has initiated schemes aimed at better integrating the large number of internal migrants from the rural east of Turkey into city life. These include mentoring schemes, which link teenage children of migrants with long-term residents such as retired teachers. Mayor Kocaoglu has prioritised permanent infrastructure solutions to Izmir’s difficulties and rejected temporary cheaper alternatives. The city now has some of the best wastewater treatment infrastructure in Turkey and is steadily building a modern metro network. 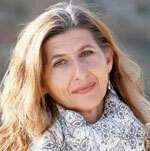 Giuseppina Nicolini has been the mayor of Lampedusa and Linosa, Italy, since May 2012. She was elected after defeating four other candidates including the incumbent mayor. In the past, she had served as deputy mayor, to which she was first elected at age 23. Despite only leading a small community of two islands, Mayor Nicolini has become internationally known because of the large number of migrants arriving from North Africa and the Middle East. The population of the Sicilian islands of Lampedusa and Linosa is usually between 6,000 and 7,000. The total has been increased by large numbers of refugees arriving, many narrowly escaping drowning and traumatised. After the maritime disaster in October 2013, which finally triggered international attention, hundreds of recovered bodies were taken to Lampedusa. In her efforts to address and publicise the crisis the mayor has called for more help for the living and dignity for the dead. She has spoken of Lampedusa’s cemetery now being full. The Mayor and her community were praised by Pope Francis for their human values when he visited Lampedusa. Mayor Nicolini was born in 1961 and has worked in farming, crafts and environmental protection during her adult life. In decades in political and civic life Mayor Nicolini has achieved some environmental successes against powerful opposition. Notably she saved the island’s famous Rabbit Beach ( Isola de Conigli) from developers. In some of her campaigning, Mayor Nicolini has had to take on mafia interests. She is known locally as the Lioness. Mayor Nicolini believes Lampedusa should be the door to Europe not the exit. Her priorities for the islands are faster ferry services to Sicily, the building of desalination plants to provide safe drinking water and more sustainable developments which respect the environment which, she says, would attract quality tourism. 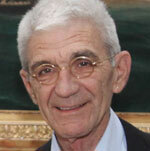 Yiannis Boutaris has been the mayor of Thessaloniki in Greece since January 2011. He was elected for a second term, with 58 per cent of votes, in May 2014. He stood as an Independent candidate, though with the backing of the Socialist Party. Yiannis Boutaris is a business owner. He founded the Kir-Yianni wine company in 1998 after working in the family owned Boutaris winery from 1969 until 1996. Born in 1942 he has degrees in oenology from the Athens Wine Institute and in chemistry from the Aristotle University of Thessaloniki. Praised by European institutions for his policies and attitudes during the crisis years between 2010 and 2012 the mayor has reduced the number of city council departments and staff and brought the budget under control whilst protecting important services. He has set a timetable for phased reductions in local taxes. Despite threats by members and supporters of the far right Golden Dawn, Yiannis Boutaris has promoted ethnic and religious inclusivity by, for instance, reaching out to Jewish people and across borders to communities in neighbouring countries. 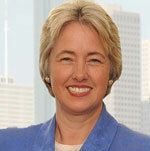 Annise Parker has been the mayor of Houston, the fourth largest city in the USA, since the beginning of 2010. She has won elections to the post three times. Her 2009 victory led to nation-wide celebrations as she was the first openly gay politician to win the leadership in such a large US city. In her two re-election campaigns in 2011 and 2013, Annise Parker won in the first round by securing more than 50 per cent of the votes. Annise Parker was a city council member for six years from 1997 after a decade in which she had been involved in civic and political activity in Houston. In 2003 she was elected to the post of city controller, the second most important position in city governance in Houston. She was re-elected unopposed to this role twice before deciding to seek the mayoralty in 2009. She is a member of the Democratic Party but promotes a non-partisan approach to running the city. The Mayor was born in 1956. She was mostly resident and educated in Houston, though she did live in Germany for two years because of her father’s work. She graduated from Rice University in anthropology and sociology in 1978. She worked in the oil and gas sector for 20 years. For most of this career she was a software analyst at the privately owned Mosbacher Energy. Mayor Parker’s record includes regularising the city’s finances whilst also investing in public area improvements. These have made Houston more walkable and increased the number and quality of parks and other green spaces. In 2014 she proposed legislation to make any form of discrimination unlawful in Houston. Albrecht Schröter became mayor of Jena in the German state of Thuringia in 2006. 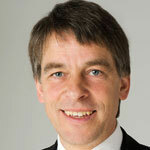 After losing the 2000 mayoral election in the city, Schröter stood again in 2006, an election which he won in the second round with 54 per cent of the vote. He was re-elected in 2012 when he secured 73 per cent. Mayor Schröter was born in 1955 in Halle in the then German Democratic Republic (GDR). He has lived in Jena since 1984 when he became a pastor in the city. Previously he graduated in theology at the Martin Luther University in Halle-Wittenburg. After the collapse of the communist GDR he was briefly a member of Democracy Awake before joining Germany’s centre-left Social Democratic Party. Jena has been a welcoming city for refugees under Mayor Schröter’s watch. Most recently the city offered many Syrians who fled their war-torn country a refuge. Although he has won awards for his commitment to oppose anti-semitism and neo-nazi groups, he aroused controversy in 2012 by supporting Pax Christi’s campaign for a boycott of goods from the Israel’s West Bank settlements. The mayor has been a long-time supporter of a Palestinian state. Jed Patrick Mabilog has been mayor of Iloilo City in the Phillippines since 2010. 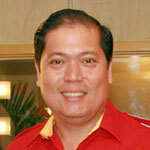 He was elected for his first three-year term after serving as Vice Mayor from 2007 to 2010. He was re-elected Mayor in May 2013 with 65 per cent of votes. Mayor Mabilog was born in 1959. He graduated in biological sciences from West Visayas State University and has a master degree in public management from Ateneo de Manila University. Subsequently he was awarded a doctorate in human resource management from Visayas University in Cebu City. Jed Patrick Mabilog worked for the international brokerage company Delbros as a sales executive and subsequently for their competitors K-line as a sales manager before establishing his own business in Manila, Astropolis Consolidatos. During this period, and through family inheritance, he accumulated significant wealth. As mayor, he has prioritised efforts to drive economic development by attracting international investment and to make the city cleaner and more connected. Crucial to his efforts, has been the development of transparent procurement systems within the city council including more e-procurement. The mayor has also led a multi-faceted anti-smoking initiative, which includes education and stricter enforcement of anti-smoking rules. Carlos Ocariz has been the mayor of Sucre, one of the five cities, which make up metropolitan Caracas, since 2008. He shocked the late President Chavez by winning in Sucre, a city, which includes the barrio of Petare, the largest slum settlement in the country. Mayor Ocariz is a member of the Justice First party. He was re-elected in 2013 for a second successive term when he secured 55 per cent of votes. During his first term, violent crime was reduced by an annual average of 10 per cent. The mayor re-organised the police force and modernised the approach to combating crime. He has also implemented an initiative to enable more residents to own their own homes. Whilst there has been co-operation with national government on crime fighting there is none on home ownership on which there is an ideological divide between the left-wing government and the centre-right opposition parties. Carlos Ocariz was born in 1971 and has a degree in engineering. He worked for the regional government in Miranda State in the 1990s. While still in his mid-twenties, he was a co-founder of the State of MirandaSocial Development Foundation. From 2000 to 2005 he was a member of the Venezuelan Parliament. The mayor’s priorities in his second term include further development and deepening of the participatory budgeting process, initiated in 2009 across the municipality, and the delivery of a first-class solid waste collection system in Sucre. He has also set himself and his officials the ambitious target of a further 50 per cent reduction in crime levels. Tri Rismaharini has been mayor of Surabaya, Indonesia since 2010. She is the first woman to be mayor of the city. Mayor Rismaharini was born in 1961 in East Java. She has degrees in engineering and architecture from the Sepulal Nopember Technical Institute in Surabaya. She is a member of the Indonesian Democratic Party – Struggle. After graduation she worked in East Java as a civil servant before moving to Surabaya. She subsequently worked for the Surabaya City Council for 20 years – until her election as mayor as head of planning. During this time she led the implementation of the first electronic procurement system in the country. Since taking office, Mayor Risma has made it one of her priorities to improve public spaces in Surabaya. Her approach is to make the city cleaner and more attractive by making the most of unused land. After four years of her leadership, there is a significant increase in the number of city parks. In four years some 22 per cent of available underused land in Surabaya has been converted to green-space. She has also made some health and education services provided by the city free to use for the poorer members of society. By 2014 Surabaya was spending 35 per cent of the city budget on education, the highest rate in Indonesia. Many of the initiatives the mayor has introduced into Surabaya have been based on innovation introduced in cities around the world. The mayor has travelled extensively since taking office and says she wants to learn and apply ideas in Surabaya. In 2013 Surabaya was cited as the city with the best public participation in the Asia Pacific region. Tri Rismaharini has been awarded the World Mayor Commendation for services to the City of Surabaya. Daniël Termont has been the mayor of Ghent, Belgium since 2007. He was deputy mayor from 1995 -2006 and has been a member of the city council since 1977. First elected as mayor in 2006 he secured re-election in 2012. Mayor Termont was born in 1953 in Ghent. He has a degree in accounting from the Stedelijk Instituut voor Handel und Secretariat. Since his early adulthood, Daniël Termont has been an active member of Belgium’s trade union movement and a member of the Flemish Socialist Party sp.a in its various forms. Mayor Termont has been active internationally as a board member of Euro Cities and has engaged Ghent in new sister city and partnership arrangements with cities across the world. He has attempted to retain Ghent’s open and welcoming approach to newcomers whilst seeking to manage flows of people. He warned the European Union in 2014 that it must act to prevent EU countries from deliberately driving out members of racial minorities such as Roma people. Before becoming a full-time politician in 1995, Daniel Termont worked for several social enterprises and charities. He managed a holiday centre for five years in the 1980s and from 1988 to 1995 was treasurer of a health care insurance organisation. In his second term since 2012 as mayor, Daniël Termont has addressed a budget shortfall and reduced the numbers of city employees while managing to protect security, education and child-care from any cuts. His challenges, in addition to the integration of migrants, include the provision of affordable housing. The bio-tech sector is a principal focus for inward investment. Mayor Termont is also strongly committed to meeting all carbon emission targets leading to Ghent becoming carbon-neutral in 2050. 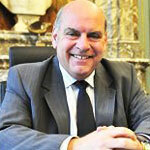 Daniël Termont has been awarded the World Mayor Commendation for Services to European Cities. Naheed Nenshi has been mayor of Calgary since 2010. He was elected for a second three-year term in 2013. He is the first Muslim mayor of a major North American city. 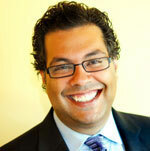 Mayor Nenshi was born in 1972 in Toronto. He received a degree in commerce from the University of Calgary and has a master degree in public policy from Harvard University. After contesting for a city council place unsuccessfully in 2004, Naheed Nenshi sought the mayoralty in 2010. Very much an ‘outside’ candidate he prevailed with 39 per cent of votes cast. 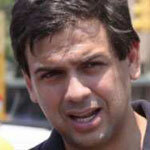 His 2010 victory was seen as a breakthrough in the use of social media in mainstream electoral contests. He was re-elected in 2013 with 73 per cent of the vote. He has antagonised much of conservative opinion in Calgary and provincial Alberta but has secured a strong majority support for his leadership, which has used social media extensively and emphasised the need to further diversify the city economy. Transparency and dialogue are the central principles of the mayor’s approach. In 2014 he was a signatory to a document, which takes forward the case for Charter status for Alberta’s cities. Calgary is experiencing rapid increase in population and the mayor’s key priorities in his second term are managing that growth whilst enhancing job opportunities and the long-term prosperity of the city. Much of his working life has been with international consultancy firms, which allowed him to travel extensively. As mayor he has continued to travel regularly, making speeches across the world. In the early 2000s he was the first tenured professor of management of non-profit enterprises in Canada, at Mount Royal University. This background is evident in the mayor’s zest for partnership with private sector bodies in service innovation and delivery. Naheed Nenshi has been awarded the 2014 World Mayor Prize. Mayor Naheed Nenshi is an example of a model mayor who continuously displays the characteristics of honesty, integrity, generosity and inclusiveness. He accepts everyone regardless of religious background, gender, colour and socio economic status. He demonstrated exemplary leadership and commitment during the Alberta flood crisis and was able to help Calgarians get through this difficult time. I highly recommend Mayor Nenshi for world mayor. The winner and runner-ups of World Mayor 2014 are chosen based on the number of nominations in relation to the size of their cities and, more importantly, on the persuasiveness and conviction of testimonials received during this year’s World Mayor Project.